So why does Paul prefer Soft Hands? 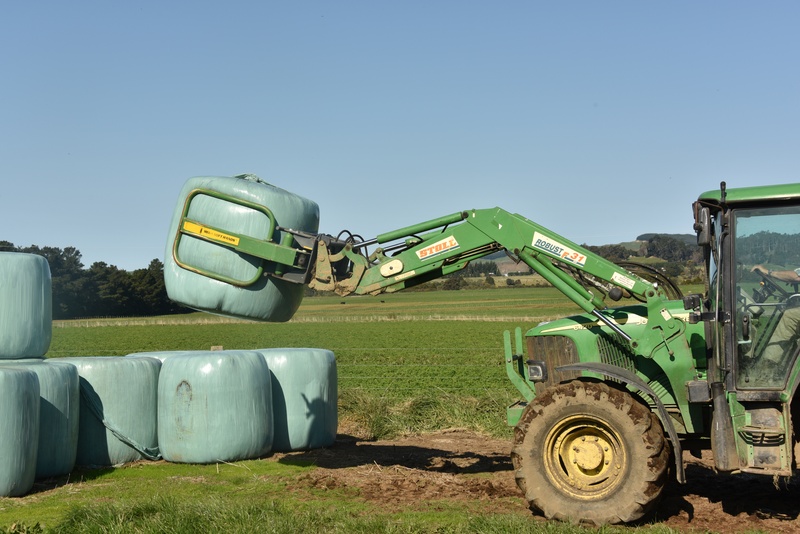 The grab size, and the way they set up makes it easy to judge when using them in close contact with other bales which inevitability happens when you have been wrapping bales. As you can imagine some of the country side Paul bales on is rough and uneven. Which can make it difficult when baling 700-800kg bales, causing the bales to roll into each other. The Mega Softhands® handles this well with its Equalizer bar. 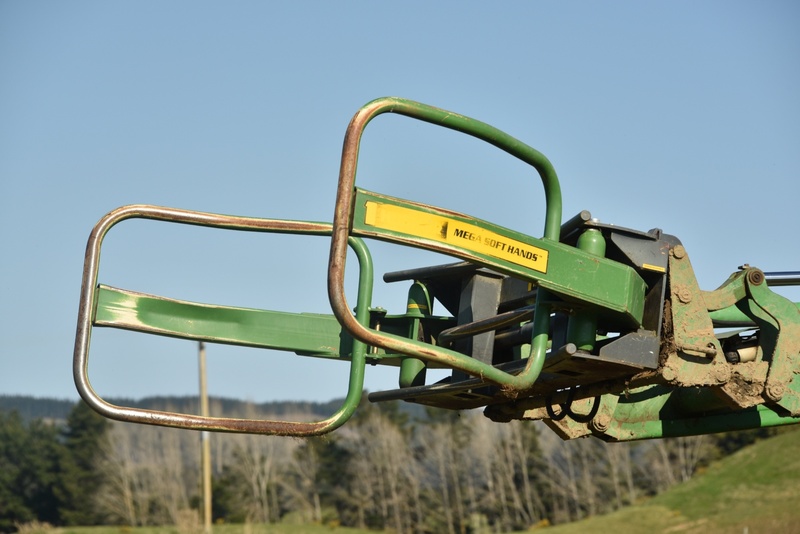 They can manoeuvre them between the bales without causing any rips or tears. This is a significant concern for contractors, and that's why Paul is so rapt with the Mega Soft Hands. 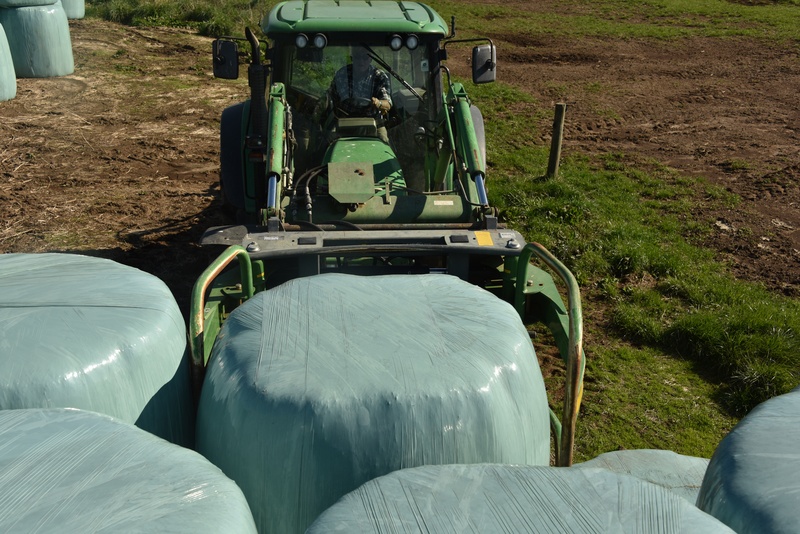 "They have been proven to be extremely durable"
You'll notice how much closer bales can be stacked with the Mega's which eliminates the need for double entry to press bales up tight against each other. "We have never had a failure with our Hustler gear"
Paul's soft hands are well used as you can see by the ink worn off the decals, these hands get a good work out both inside and out, and is a testament to what Paul says "they don't rip or tear bales". with these bale grabs and have invested in a set of their own. They're great!"